Platform Bed Dimensions are twin platform bed 37 inches wide x 75 inches long, twin extra long platform bed is 37 inches wide by 80 inches long, full or double platform bed is 54 inches wide by 74 inches long, queen platform beds are 60 inches wide by 80 inches long, king platform beds are 76 inches wide by 80 inches long and California king platform beds are 72" wide by 84 inches long. 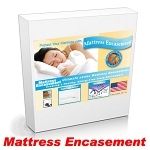 Platform Size Mattress depths can vary from just a few inches to 14" or more. 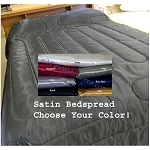 Many times, actual platform bed mattress dimensions will vary by one or two inches, usually smaller.